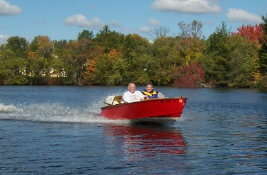 By Host Jim Moffatt with captions by Rick W.
The weather Gods finally relented and smiled on a Yankee Chapter Merrimack River meet! 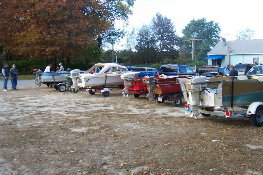 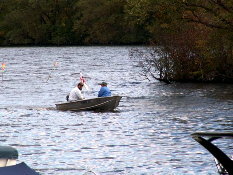 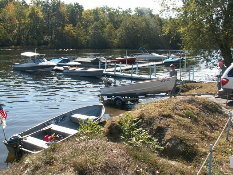 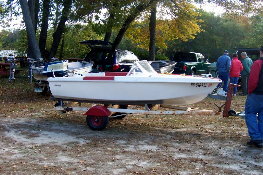 This year over 20 boats were in attendance as well as innumerable motors. 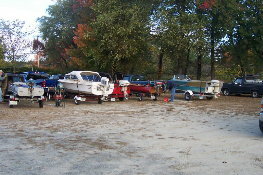 The day was full of running boats and motors. 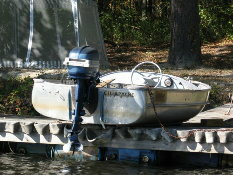 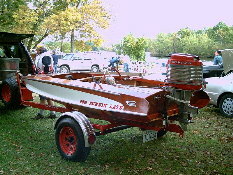 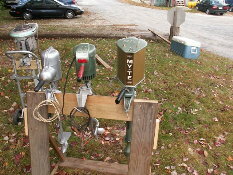 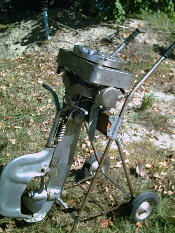 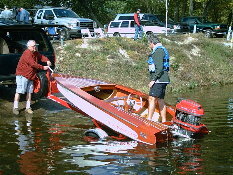 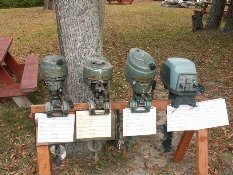 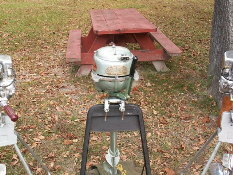 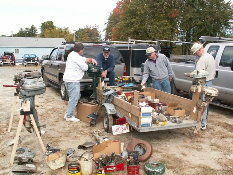 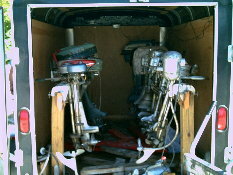 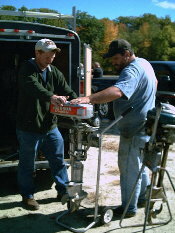 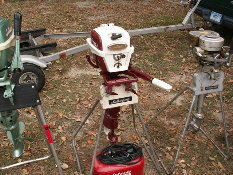 Most notable antique motors included Larry C's Johnson TR-40 Giant Twin. 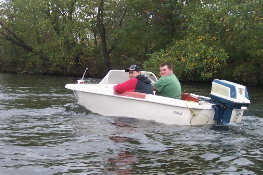 It took many passengers on a white knucle tour of the river. 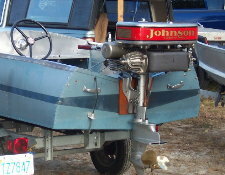 Not far behind was Bill A's Johnson SR-45 that ran flawlessly all day. 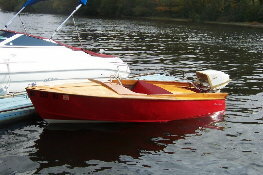 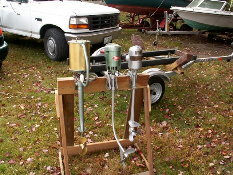 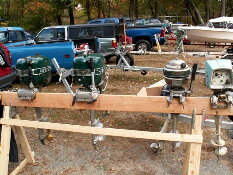 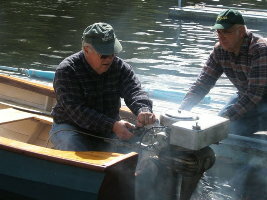 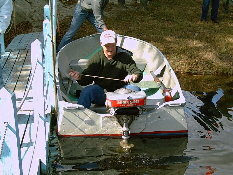 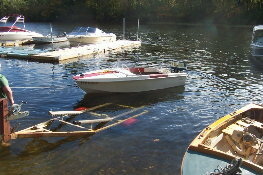 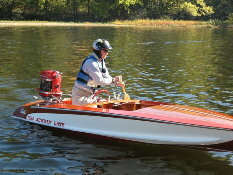 Tom M's Caille rowboat motor also performed flawlessly at all five speeds. 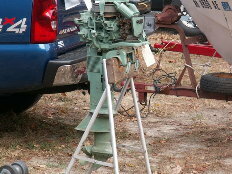 It started with one flip of the knob almost very time. 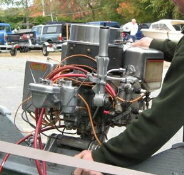 Ron M. ran a Neptune Master Twin a rare motor almost never seen running! 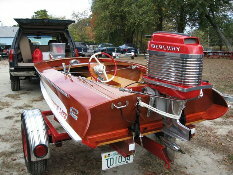 There were also so many great classic motors that its hard to pinpoint any one as the front runner. 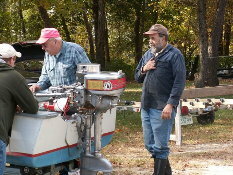 Needless to say, a good time was had by all. 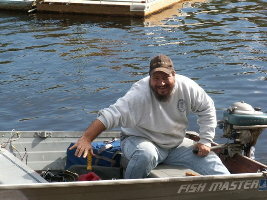 I saw more smiles at the meet than I have all year. 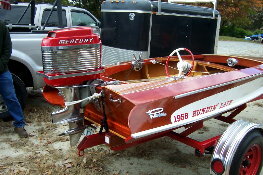 Thanks to Rick W., Rusty M., Matt M. and Norm W. for the photos. 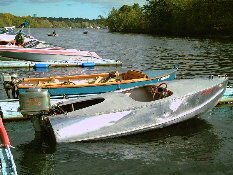 Motors & boats in this lineup run from 1928 to 1964 - too bad the cars don't too! 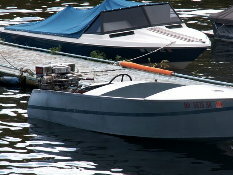 This little Merc wants to run! 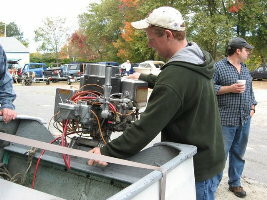 Matt K. working on Dave S's Johnson V-series ELECTRIC START! 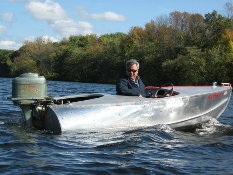 Bill A: "My, that is a lovely outboard!" 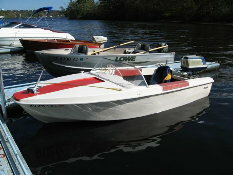 Going to take the V for a spin. 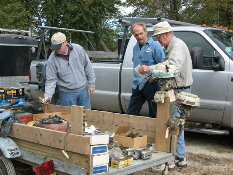 Ken H. works on Bob's Merc while Bob and Dean look on. 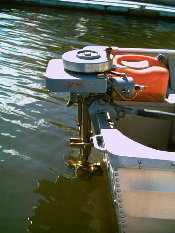 Where does the starter rope go??? 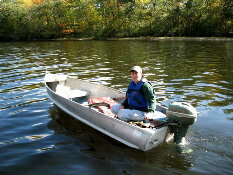 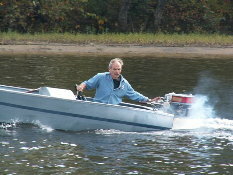 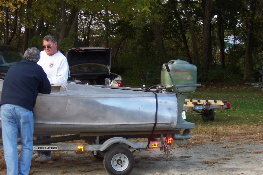 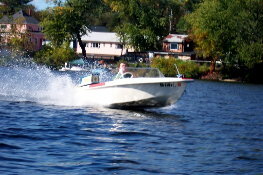 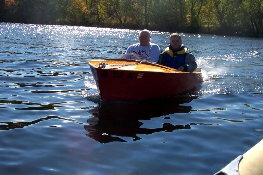 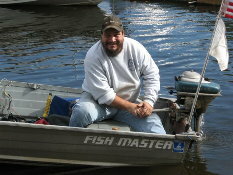 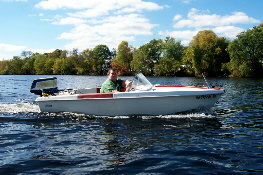 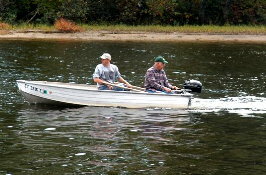 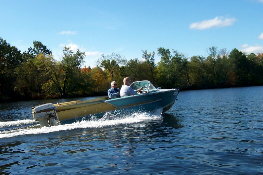 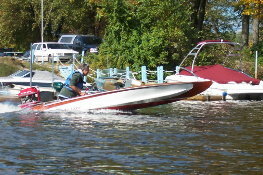 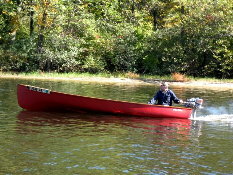 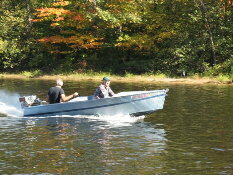 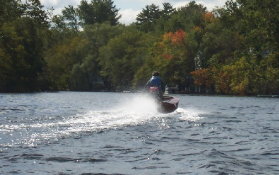 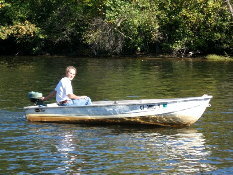 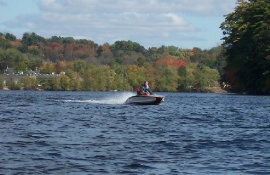 Dan T' out for a spin with Maureen L.
Thrilling Evinrude Zephyr has Dan excited! 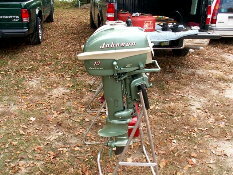 Ever see a Johnson TR-40 Giant Twin? 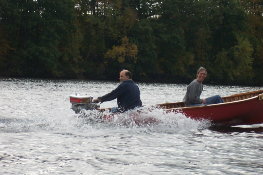 Seen on the river - not part of the meet! 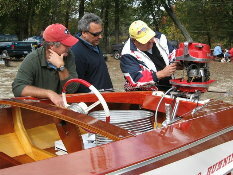 Ron M. tuning his rare Neptune Master Twin while Jim M. looks on. 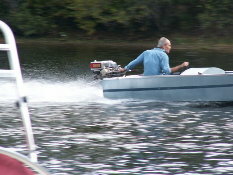 That's not James Bond - it's Deano! 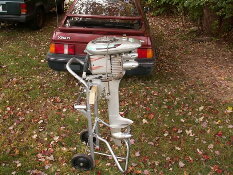 Yes Art, I got my fire extinguisher right here! 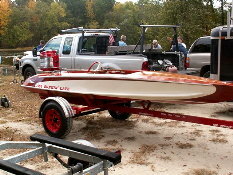 See you at the next Yankee Chapter meet!